Tracing our ancestors as far back as the mid 17th Century will soon be made much easier through an exciting new project to put ancient tax documents onto both microfilm and the internet. The hearth tax was levied between 1662 and 1689 on each householder according to the number of hearths (fireplaces) in his/her occupation. The administrators were required to compile lists of householders with the number of their hearths according to county. The returns from the 1662 to 1689 "Hearth Tax" are one of the great taxes that form the biggest records on population in England and Wales between the Domesday Book and the 1801 census. This particular one has never been analysed precisely because it is so big. But with the help of £85,100 from the Heritage Lottery Fund, the history department at the University of Surrey Roehampton is doing just that. The documents, in the Public Record Office and many of them fragile, will be copied onto a master microfilm and then copied to all relevant local record offices across the country. This information will then be indexed and placed on the internet. What was the Hearth Tax ? The Hearth Tax was introduced in England and Wales by the government of Charles II in 1662 at a time of serious fiscal emergency. The original Act of Parliament was revised in 1663 and 1664, and collection continued until the tax was finally repealed by William and Mary in 1689. Under the terms of the grant, each liable householder was to pay one shilling for each hearth within their property for each collection of the tax. Payments were due twice annually, at Michaelmas (29 September) and Lady Day (25 March), starting at Michaelmas 1662.However, the administration of the tax was extremely complex, and assessment and collection methods changed radically over time. As a result, the majority of the surviving documents relate to the periods when the tax was administered directly by royal officials, who returned their records to the Exchequer, namely the periods 1662 to 1666 and 1669 to 1674. Outside these periods, the collection of the tax was 'farmed out' to private tax collectors, who paid a fixed sum to the government in return for the privilege of collecting the tax. These private tax collectors were not required to send their assessments into the Exchequer, although a few returns from these periods do survive. What information do Hearth Tax returns give ? No tax return can be used as a total census of the population - there were always exemptions and evasions. The most complete Hearth Tax records are those for 25 March 1664. Information supplied includes names of householders, sometimes their status, and the number of hearths for which they are chargeable. The number of hearths is a clue to wealth and status. Over seven hearths usually indicates gentry and above; between four and seven hearths, wealthy craftsmen and tradesmen, merchants and yeomen. Between two and three hearths suggests craftsmen, tradesmen, and yeomen; the labouring poor, husbandmen and poor craftsmen usually only had one hearth. There are many gaps in the records, partly because of the loss of documentation, but partly also because of widespread evasion of this most unpopular tax. Hearth Tax returns for particular areas have been published by many local record societies, and some records are to be found in county record offices, among the quarter session records. The tax was collected using the administrative divisions of the time - counties, hundreds, boroughs, parishes, etc. - and researchers should be aware that these have often changed over time. Basic details can be found in the E 179 database, and more specific information is available in reference works such as volumes of the Victoria County History and publications of the English Place-Name Society. Did everyone pay the Hearth Tax ? By the terms of the 1662 Act, only people whose house was worth more than 20 shillings a year and who were local ratepayers of church and poor rates, were required to pay the Hearth Tax. This actually left out quite large numbers of people such as paupers who paid neither church nor poor rate and people inhabiting houses worth less than 20s a year who did not have any other property over that value, nor an income of over £100 a year. Also exempt from the tax were charitable institutions with an annual income of less than £100 and industrial hearths such as kilns and furnaces (but not smithies and bakeries). However, the tax-collectors were required to collect exemption certificates from those not eligible to pay, and you may need to check these as well. Most individuals who were not liable to pay the hearth tax for reasons of poverty were required to obtain a certificate of exemption from the parish clergyman, churchwardens and overseers of the poor, countersigned by two Justices of the Peace. After the revising Act of 1663, hearth tax officials were to include in their assessments lists of those chargeable and not chargeable (exempt). However, the methods of recording those not chargeable tended to vary, with some assessments containing the names of exempt individuals, and others simply a record of the total number. From 1670, printed exemption forms were introduced, replacing earlier manuscript certificates; these were filled in as necessary by the local officials to record the names and assessments of the exempt in a given area. This important source may be used to supplement those assessment rolls which only show numerical totals of individuals not chargeable. Most of the surviving certificates of exemption may be found in series E 179, mainly in large collections arranged by county. However, since many are not yet listed in detail and may be fragile, readers should ensure that they preserve the current arrangement and take particular care when handling these documents. The majority of the surviving hearth tax documents can be found amongst the records of medieval and early-modern taxation in series E 179 at The National Archives. The main means of access to these records is now the E 179 database also at the National Archives. This database will eventually contain details of all documents in series E 179 relating to lay and clerical taxation in England and Wales between the thirteenth and seventeenth centuries, providing accurate and up-to-date information on their nature and contents, and indexes of all place-names contained within them. The database is searchable by place, date, tax and document type, or any combination of these. Readers should be aware that names of individual taxpayers are not included in this database, but that they may use the database to search for documents containing such names, prior to examining the original document or, where available, a printed transcript. The database is also linked to both the on-line Catalogue and, for readers at Kew, to the document ordering service. 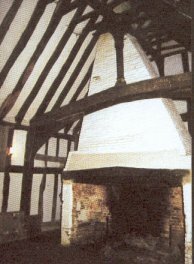 The hearth tax was introduced in England and Wales in 1662 to provide a regular source of income for the newly restored monarch, King Charles II. Parliament had accepted in 1662 that the King required an annual income of £1.2 million to run the country, much of which came from customs and excise. By 1661 the sum was short by £300,000, a figure that the hearth tax was projected to yield but which proved to be a hopeless overestimate. The government sought to raise this money by a means which had no Commonwealth links such as the excise or the assessments and the MPs ensured that it did not impinge too heavily on those with land and personality such as themselves. Unlike other contemporary levies the tax was granted in perpetuity. Sometimes referred to as chimney money, the hearth tax was essentially a property tax on dwellings graded according to the number of their fireplaces. The 1662 Act introducing the tax stated that "every dwelling and other House and Edifice … shall be chargeable … for every firehearth and stove … the sum of twoe shillings by the yeare". The money was to be paid in two equal instalments at Michaelmas [M] (29 September) and Lady Day [L] (25 March) by the occupier or, if the house was empty, by the owner according to a list compiled on a county basis and certified by the justices at their quarterly meetings. These quarterly meetings conducted within each county were known as the Quarter Sessions. The lists of householders were an essential part of the administration so that the returns of the tax could be vetted and for two periods 1662-6 and 1669-74, one copy of the relevant list was returned to the Exchequer and another was held locally by the clerk of the peace who administered the Quarter Sessions. Frequent changes in administration were a feature of the tax in an effort to reach its unattainable projected yield. Initially in 1662 assessment and collection were entrusted to the local government officials - petty constables or tything men supervised by the high constables and the sheriffs. The return of money to the Exchequer was so slow however that a revising Act was passed in 1663 which tightened up the assessment procedure. A further Act in 1664 supplemented the local officials with professional tax collectors directed by a county receiver appointed by the King. By the spring of 1666, the King was so short of money that the receivers were peremptorily removed and the tax was privatised with a consortium of London merchants paying up front for the privilege. Some receivers had already begun the 1666L collection but in most counties it was managed by the farmers although audited by the Exchequer. The farm was a failure exacerbated by the Great Fire of London which destroyed the tax office and as a result the contract was terminated at the earliest possible opportunity at 1669L. It was not until the summer of 1670 that a second receivers' administration was set up with county lists again being returned to the Exchequer. Because of this late start, the officials had to make two collections that of 1669M and 1670L retrospectively. At 1674M the organisation reverted to farmers again. Farming was continued until 1684 with two five-year contracts being drawn up. Finally in 1684 the administration was combined with that of the Excise under a Commission. The persistent problems of assessment and collection were reflected in ten abortive bills concerning the tax being introduced in the Commons between 1669 and 1681. The situation was not helped by the fact that from1663 the officials had the right to search each dwelling to check the number of hearths. Finally the tax was repealed in 1689 at the start of William and Mary's reign in order to gain popularity. The tax was collected according to the administrative units of the time namely county, hundred and constabulary or township, which may or may not be the same as the parish. In the cities, towns and boroughs the constables or sub-collectors often worked according to wards whose boundaries again may or may not be the same as those of the parish. As time went on there was a streamlining of the administrative areas, the county towns and boroughs being absorbed within their respective counties and some other counties being amalgamated. At no time in its life did the tax yield its expected target of £300,000 per annum. The first two collections raised only £115,000 and by 1666 the annual net yield had fallen to about £103,000. The subsequent changes in management saw a gradual increase in annual net yield from about £145,000 in 1670 to £157,000 in 1680 and under the Commission from 1684 to 1689 it reached its highest net total of £216,000 per annum. By the 1662 Act certain hearths were made not liable namely those in houses already exempt from paying local taxes to church and poor due to "poverty or smallness of estate", and those in dwellings whose rentable value at market rates was 20 shillings a year or less and whose occupiers did not have or use any land or tenements of their own or others exceeding that value nor had any goods worth more than ten pounds. For those in this second category a certificate was required signed by the minister, and at least one of the churchwardens or overseers of the poor of their parish and certified by two justices. Such certificates of exemption were valid for one year or two collections.The 1664 Act limited exemption still further by restricting it to dwellings with no more than two hearths and furthermore no hearth which had previously been chargeable could be made exempt unless it became ruinous. A third category of hearths in blowing houses, stamps, furnaces and kilns and those in hospitals or almshouses below a certain annual income was also exempted. Throughout the life of the tax the identification of the not liable was primarily the responsibility of the parish officials who not infrequently were challenged by the professional tax collectors thereby causing friction between the two sets of administrators. The hearth tax has left many records but the most well-known and heavily-used are the county lists of householders which only survive when the Exchequer controlled the administration between 1662M to 1666L and 1669M to 1674L. Usually about four returns were compiled for each county in each period and generally at least two have survived in a legible form for most areas although many are incomplete. In addition, some lists are abbreviated versions merely recording those householders whose hearth number had changed since the previous collection. Most of these records are held at The National Archives and details can be accessed through its E179 database. Some may also be found in local record offices, amongst estate papers and in the British Library, generally but not always belonging to the same periods as those in The National Archives. A selection of transcripts of county lists have also been published. The legal clauses stating the requirements for exemption were drafted rather loosely which together with poor instructions led to much misunderstanding amongst the officials. As a result the recording of the not liable in the county lists is inconsistent and may even be omitted. In 1662 only the names of the chargeable were to be noted but from 1664L the not chargeable were also required to be listed separately. From then on they were included in a bewildering diversity of ways. The records of 1664M-1665 may note the exempt separately or some may be included amongst the chargeable. Most of the returns dated 1669M to 1674L record chargeable and sometimes the not chargeable grouped under various headings such as 'certified', 'not chargeable' or 'receive alms'. If the names of the exempt have been omitted or truncated it may be possible to extract them from the exemption certificates which are also held at The National Archives. Whilst the earlier certificates were generally compiled on an individual basis, the later introduction of printed forms permitted all or many of the exempt of one parish to be listed on one certificate. Most of these certificates derived from the 1670s are as yet uncatalogued and not all counties are represented. Normally each entry cites a number of hearths and the name of an individual who may be the occupier or the owner. Where the entry includes more than one hearth the number sometimes represents hearths in several buildings or a sub-divided one. Within a rural area the simple list of householders gives no indication of the relationship of each entry to another on the ground but in the towns, if inn names are recorded it may be possible to trace partially the steps of the tax official. In some lists the names and numbers represent those who were assessed for the tax and in others those who had or had not paid because the returns were compiled at different stages of the appropriate collections. Sometimes for certain collections due to changing instructions, additional information is given such as a change of occupier or a change in hearth number. Only in the scattered instances where building names are recorded can the hearth number be related to a specific building although a titled entry or that of a cleric may provide a clue. The absence of a specific name in a place does not necessarily mean that such an individual was not living there. Since the county lists only record the name of the occupying householder or owner, the missing individual could have been living with other members of his family, listed as a householder under another township or perhaps he/she was categorised as exempt for which notification on the lists is notoriously unreliable. Each list for whatever collection is an amalgam of several people's work so that the amount of information recorded within it may not be consistent due to the varying ability and assiduity of the officials. All the returns are copies of original working lists or previous records so they are subject to copying and spelling errors, a problem made worse where the compiler was unfamiliar with local names. For each county there is no one 'best buy' in terms of completeness of recording but comparisons with lists of a different date where they survive is essential to help identify omissions and errors. The Hearth Tax was the subject of the BBC2 history series Breaking the Seal explained by a Roehampton PhD student. The tax itself was abolished by King William III in 1689 due to its mass unpopularity, mirrored by hostility to the Poll Tax over three hundred years later. One of its problems was administration, made worse by the Great Fire of London, which destroyed the newly established Hearth Office. Genealogists can use the information to trace back family trees because the best Hearth Tax returns accounted for and named every householder in each county, whether they were liable or exempt from paying the tax. Of course tax evasion was as much of a problem in the 17th century as it is today! As the tax was based on the number of hearths per household it can be used not only to estimate population size but also distribution of wealth, social status and problems of poverty. Professor Margaret Spufford, research professor in history at the University of Surrey Roehampton, saw the need to have this information made widely accessible and gained support from leading archivists and historians for the project. The project is underway and news of progress and recent and forthcoming events is published on the University's website. The British Record Society has joined with the Roehampton Hearth Tax Centre to produce a series of texts of the Hearth Taxes of the 1660s and 1670s. These are being published, county by county, generally in conjunction with the relevant local record society. There may well be some twenty volumes in the series. They will make available lists of inhabitants, and the size of houses they occupied, village by village across England. The volumes are provided with scholarly introductions complete with maps and tables so that the volumes can be of the greatest use to social and economic historians working on a national canvas as well as to the local historians of the counties concerned. When the mapping and analysis is completed, it will provide a bird's-eye view of the distribution and density of taxable population in England and Wales in the 1660s and 1670s. The introductions also stress that the Hearth Taxes throw light on the buildings about which they give such austere information. It is not useful to count hearths without some awareness of the houses that contained them. This series will therefore focus attention on housing as necessary evidence in interpreting the past. They are also especially useful for locating lost ancestors, since they can pin down which parish registers are worth searching, whilst the house size gives some sort of indication of the status of the taxpayers themselves. In addition they are naturally ideal tools for local historians, and provide the opportunity of setting the community being studied in context. The Roehampton Hearth Tax Centre has, with the assistance of a grant from the Heritage Lottery Fund, had master microfilm made of the Hearth Tax listings in the Public Record Office, which, in turn, has made copies of the relevant portions available to every appropriate local record office in the country. The work of transcription of Hearth Tax records from microfilm is already progressing in a considerable number of counties. to which five volumes should be added Warwickshire Hearth Tax Returns; Michaelmas 1670, with Coventry Lady Day 1666 which I have yet to review. What can we learn from tax records? Governments throughout history have constantly tried to tax individuals on their possessions and they've always been on the lookout for fresh indicators of wealth. In Charles II's reign, they struck at the very heart of the home. In 1662, parliament introduced a new tax. A hearth tax, sometimes called the chimney tax. 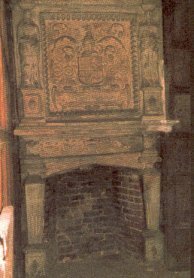 Almost every hearth in the country, including this one in Penshurst Place in Kent, was taxed at the rate of one shilling. The scheme was simplicity itself. What could possibly go wrong? Elizabeth Parkinson is an expert on the hearth tax. I met up with her at the Public Record Office. Elizabeth Parkinson, University of Surrey at Roehampton: You can see here the numbers of chimneys that are there so you can see why they were trying to tax hearths. Bettany: This is presumably pre-the Fire of London. Bettany: And the Public Record Office has good records of those documents. Elizabeth: Wonderful records, unlike the window tax, of which there's very little. There's a lot.This is just a record for one county of Cornwall and they record the tax payer there and the number of hearths on which they had to pay, and of course they had to pay a shilling twice yearly, at Michelmas and at Lady Day. Bettany: So that's autumn and spring? Elizabeth: That's right. Now I'll just mark one point, place for you here. This is 1664 but it's actually an amendment of a 1662 list, so that's what's interesting because that tells you the changes between the two collections and you've got some lovely little pieces in here. No such person nor house to be found. And the next one, the house fallen down. Or if we try one of these comments up here, which says stopped up too. And this means that they didn't really want, they stopped up the chimney and therefore the hearth wasn't going to be used and therefore they wouldn't have to pay the two shillings. And in fact all sorts of people stopped them up. Bettany: But was there a punishment if you didn't pay? Elizabeth: Yes. They could distrain goods, which is rather like the modern bailiff, going in and taking some of your property which would be the value of the tax. There's another document here. Can I give you that top bit to hold. They curl up all the time. Bettany: But presumably these are rolled up because they were much easier to transport. Elizabeth: Oh yes. This is somebody who didn't pay. A Robert Aubrey and he was assessed for two hearths and refusing to pay the duty, distress was taken and he violently did oppose the constable and officer and did take away the distress. So the officer and the constable went to collect the money and he wouldn't give it, so they probably took a pewter plate or something, something that was equivalent to that value and then he'd go, no, I'm not going to give up my pewter plate, so he obviously hit them, I would think from this. Bettany: So was it quite an unpopular tax? Elizabeth: Oh yes, because every house had to be entered. And it's rather like the gas meter man coming in and saying I want to see in every room. We wouldn't like it now so they didn't like it then. Bettany: Off to Cornwall now. The hearth tax lists don't give addresses but some Cornish enthusiasts have managed to connect the records with particular properties. I've arranged a rendezvous with one of them, Tom Arkell. We met at Pendine House which has been owned by the Borlais family since the 1630s. Tom Arkell: This is the hearth tax list for 1662 and 1664 for St Just Parish. And the first name you find is John Borlais, or Burlase as it's written here. Seven hearths. Bettany: And that would have meant that he'd have been taxed quite heavily then if you've got seven hearths. Tom: Well, seven hearths at one shilling a hearth, twice a year, is 14 shillings which is a substantial sum of money, but he was a rich man. He made his money initially from tin mining and that's why he was able to buy this house. Bettany: The records show that John Borlais paid his tax. But, as we know, some people went to great lengths to avoid it. Tom found an example of this at Bray Farm, now the home of Sutton Sailor and Michael Shepherd. Bettany: So, Tom, do you know who owned this house in the 1660s? Tom: Yes, we do, it was John Ellis and his name is down here on the copy of the hearth tax list. There, you see, John Ellis, six hearths, stopped up, two. Bettany: I have to say this one looks pretty open to me. How do you know that this was one of the ones that was stopped up? Michael Sheppard: Well, it's just a plain wall but it was damp and we were exploring the damp patch and discovered, firstly the surround and then the centre of the hearth was completely blocked with granite. Bettany: That's extraordinary. So you'll have been the first people for 330 years to have seen it. You didn't realise you had an important bit of fiscal history in your bedroom. One thing that had impressed me about the hearth tax was the theory seemed fair. Rich people had more hearths and so would pay more. But the last stop in Cornwall questioned that. In 1662, Treen Farm was the home of James Carra. It had one hearth. James' sister, Marie, lived in the cottage next door. Also a one-hearth home. And presumably Marie would have been unmarried which is why she came to be living here. Tom: Yes, she was. She was the sister of James next door. Bettany: Well, she might have only had one hearth, but it's pretty impressive, isn't it. Tom: It is, it's a big hearth for a small house. Bettany: Despite the size of the hearth, Marie was very poor. Tom showed me a document that proved this. Bettany: And so this has got a list of all the goods that Marie owned when she died. Was that one old suit of clothes? One small spit. 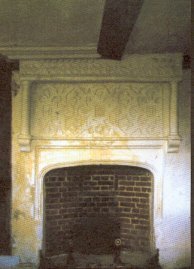 Tom: Worth five pence, which would have been here in this fireplace. Bettany: And one bowl worth tuppence. And this is the brother, so you know exactly what he owned as well. He's doing much better, isn't he. Tom: There's the total, £146. Bettany: James has got a lot of goods. Marie has hardly got any. They've both got one hearth so they could be taxed the same amount. I mean that doesn't feel to me like a fair tax. Tom: It isn't at this level. In Cornwall three out of every four houses only had one hearth. Bettany: So why do you think it was abolished after 27 years? Tom: Well, I think it's clear. William and Mary had just come to the throne and they were after popularity. It's a measure of cheap popularity for them. Bettany: Whether it was a castle or a cottage, people didn't like having their homes entered. The state needed new solutions. 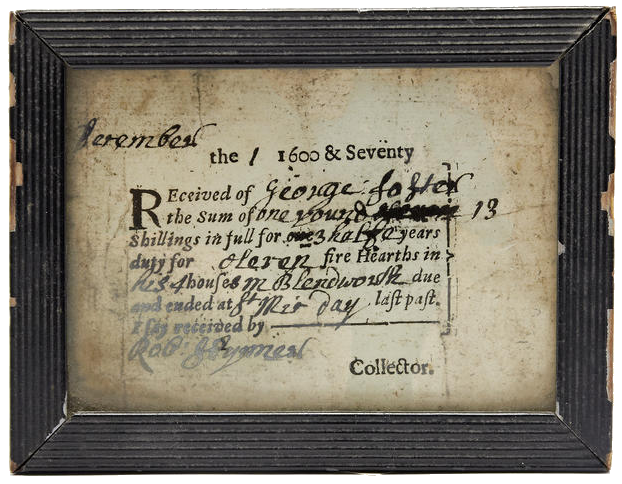 A Charles II printed and manuscript Hearth Tax receipt, dated 1st December 1670, covering the hiatus in collection from Michaelmas 1669 - Michaelmas 1670, later framed and under glass, 12.5cm wide x 9.5cm high including frame. and ended at St Mic day last past. This receipt reveals that George Foster of Blendworth, Hampshire, owned four houses with a combined total of eleven hearths. The surviving Hearth Tax Assessment for 1665 lists a George Foster of Blendworth as having two chargeable hearths; a Francis Foster of the same parish is liable for four, and a Widow Foster for three [see E. Hughes & P. White (eds. ), The Hampshire Hearth Tax Assessment 1665 (1991). The George Foster named on the receipt is probably the George Foster born in Blendworth in 1629 and whose will, proved in 1706, reveals that he was a yeoman with six daughters and a son, also called George. The Hearth Tax was levied between 1662 and 1689 to support the Royal Household of King Charles II. It was levied on each householder according to the number of hearths in his or her dwelling. The tax comprised a twice-yearly (at Michaelmas [September 29th] and Lady Day [March 25th]) charge of 1s. for every fire, hearth and stove within each 'dwelling, or other house or edifice', in England and Wales, including lodgings and chambers in the Inns of Court and chancery, and colleges and other societies. In March 1666, the government farmed out the tax to three City of London merchants following payment by them of an advance and an annual rent. This administration failed, largely because the rent had been fixed at a higher figure than the yield from the tax justified. The merchants surrendered the farm following the collection of Lady Day 1669. Whilst a report was compiled about how the Hearth Tax could be better administered, the collections of Michaelmas 1669 and Lady Day 1670 were outstanding. This receipt, made in December 1670 by which time new receivers had been appointed, covering 'three half years' up to Michaelmas 1670, thus records the collection of those uncollected taxes from Lady Day 1669. No assessment survives for the county of Hampshire for the year and a half ending Michaelmas 1670. This tax was widely hated, and regarded as a 'badge of slavery upon the whole people exposeing every mans house to be entred into and searched at pleasure by person unknown to him'. In the first session of the first parliament of William and Mary, which assembled on 13 February 1689, the Hearth Tax acts were repealed.